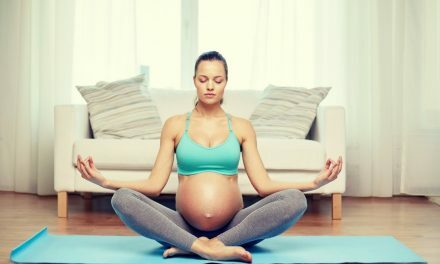 Having a baby in the winter can come with a unique set of challenges and concerns. I’ve had two winter babies – winter baby #1 was born in November and winter baby #2 was born in February. In both cases, there were major snow storms before, during and after their birth. We also had major flu outbreaks to deal with like the Swine Flu. Now I’m pregnant with baby #3 and even though he’s not a winter baby, he will likely be born in March and there is still a fairly serious cold and flu season going on. 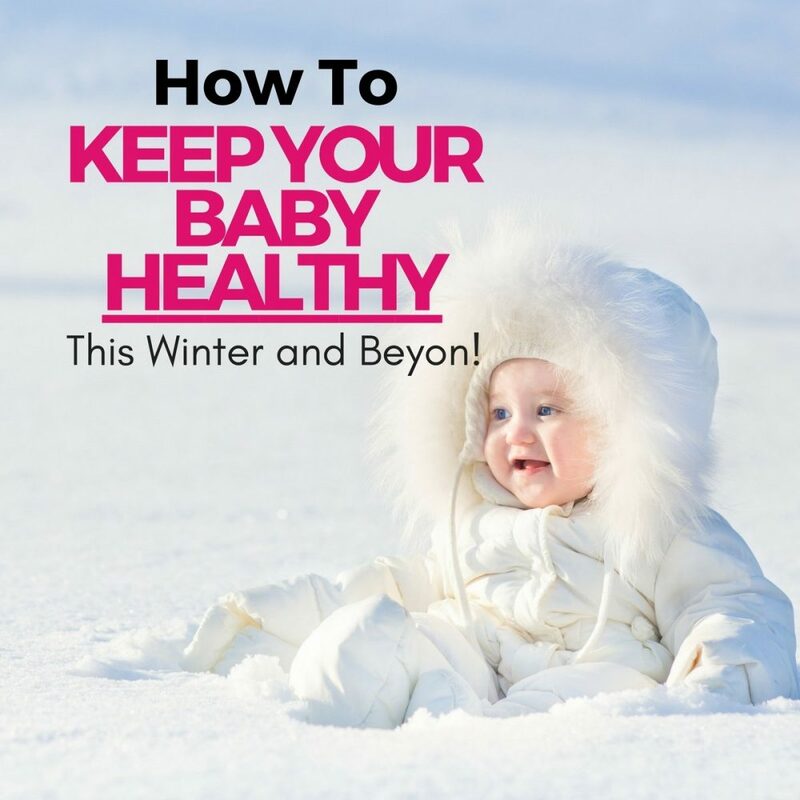 Through my experiences I’ve learned a lot of tips, so here are my “Winter Baby Care Tips!”. Winter Baby Tip #1: Wash hands thoroughly and often! The easiest and most effective way to avoid exposing your new baby to germs is to insist that EVERYONE who comes into contact with your baby washes their hands prior to touching, holding, or being near the baby. Let me say that another way… You must be your winter baby’s best advocate and insist that everyone washes their hands. From being in lots of FB mom groups, I know that this can be tough. 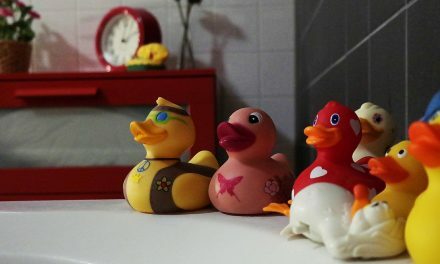 Some family members may push back or say “I washed them when I came in…” but it’s better safe than sorry! Many colds done show true symptoms until hours or days after the person is already contagious so I’ve important to get ahead of things. Your beloved family member may have coughed a few minutes prior and not used “chicken wing” and now their hands need a good cleaning! I recently partnered with Simple Human (because who doesn’t love their stuff!) and got to test out their hands-free soap dispenser. I loved it so much that I replaced all the soap bars and soap dispensers in our bathrooms with their Sensor Pump in Brushed Stainless Steel ! From a personal perspective, I love the brushed steel design, that it has a rechargeable battery and that they have so many different soap options! From a “Winter-Baby-Mom” perspective though – or just as a mom of (soon to be) 3 boys perspective – I LOVE that it’s hands free! This means that if someone is sick, they will never get their germs on the dispenser and really reduce the chances that the germs will spread! Every feel like you get sick when the temperature fluctuates too much? Like in between seasons when you have an ice storm one day followed by spring-like weather? I always do which is why I try really hard to keep an eye on how warm or cool my baby is and try to keep their temperature relatively consistent. 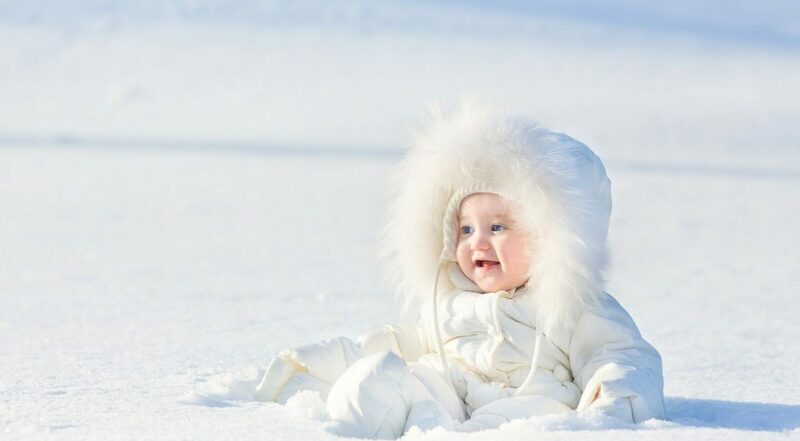 For a winter baby, this often means dressing them in layers and trying to stick with cotton fabrics so they won’t sweat too much. I’ve found that one of the best ways to tell how a baby feels (temperature-wise) is to touch their cheeks or even their belly! So… diaper time is a really great time to see if they are too hot or too cold and to adjust their clothes accordingly! On that note, I’ve read that it’s dangerous to cover your baby’s car seat with a blanket because the blanket won’t “breath”. This means that they could be inhaling carbon-monoxide if you’re not careful! So… just to be safe, I prefer to wrap up the baby well and use my own body to block cold winds. If it’s too windy, or raining/snowing out, though, car seat covers like this are a great option! At under $15, this type of cover is a great way to protect your little one from the elements without worrying about air circulation! Click here to buy one or read more! Winter Baby Tip #3: Follow good car seat guidelines! I know this can be a tough one BUT it’s unsafe to dress your little one in a poofy jacket or snowsuit and then put them in a car seat. If you can, bring your car seat into the house and put your winter baby in just their clothes in the car seat. Buckle them up and then put a nice warm blanket on them. If that’s not an option, it sometimes helps to warm the car up first and then bring your baby to the car wrapped in a warm blanket. That way they will already be in a warm car when you remove the blanket to strap them in. Trust me, I get it. 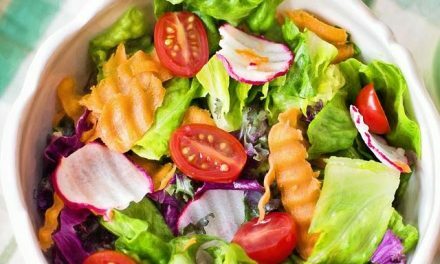 This can be a hassle but it’s worth it! Winter Baby Tip #4: If nursing, try to stick with it during the cold and flu seasons! If you usually provide your baby with pumped milk (say at daycare), then try to give you baby only the freshest milk until you and/or they feel better so that the milk they are drinking has the needed antibodies. Afterwards, you can use the oldest or frozen milk if needed. Otherwise, if you give them older milk, it won’t have the specific antibodies he or she needs at the time. Looking for more nursing tips? I got tons of posts on breastfeeding! Here’s a good place to start or you can read this post about how to get the best latch! It can be so frustrating when your little one has a stuffed nose and no matter what you do you can’t clear it out! They are uncomfortable and often extra irritable (which can be tough for you as a tired sleep deprived mom!) and chances are you just want to help them however you can! Let’s face it, those little nose aspirators (aka bulbs) don’t always work well enough. Okay, they don’t usually work well enough. They are also impossible to clean! A few months ago I wrote a great post about how to treat your baby’s first stuffy nose (which also works great for older kids!). Click here to read that post and learn my tricks! 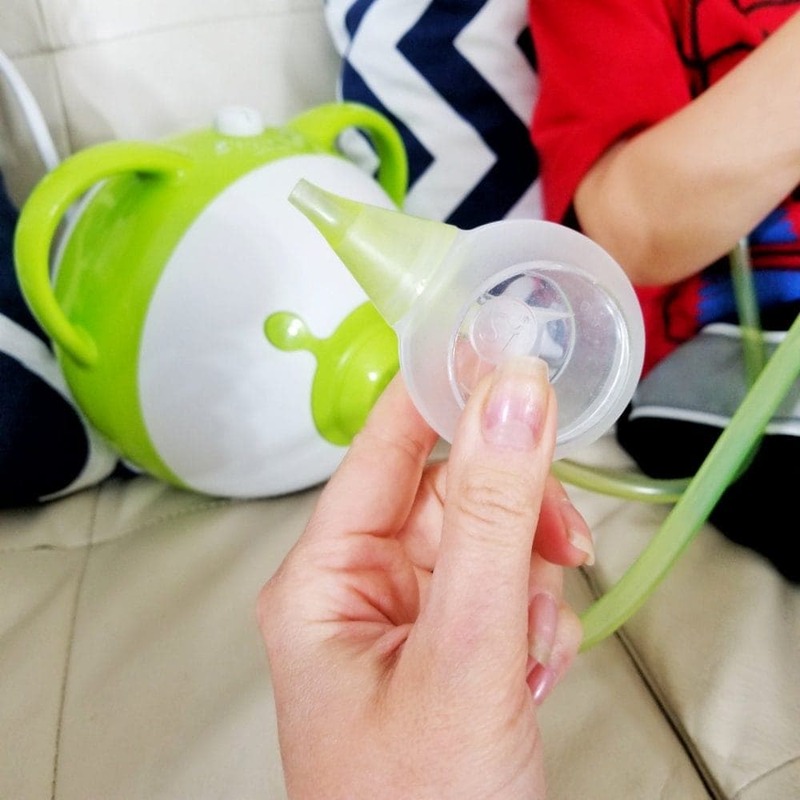 In the meantime, there’s an amazing nasal aspirator that you can buy that basically functions like a breast pump! It suctions out the snot and is gentle enough to use on a baby but also works on older kids! My 8 year old LOVES it! We use it so much more often than I had ever expected and it’s been a huge help in our house! Click here to learn more about it or buy your own! By making sure that your baby’s nose isn’t stuffed up, you’ll not only make them more comfortable and happy, you’ll also reduce the chances of them getting a sinus infection or ear infection! That will save you and your little winter baby so many tears! Winter Baby Tip #6: Use humidifiers! On a similar note, it’s super important to keep your baby’s environment nice and moist. The American Academy of Pediatrics recommends using cool mist humidifers like this one to relieve cold and flu symptoms! 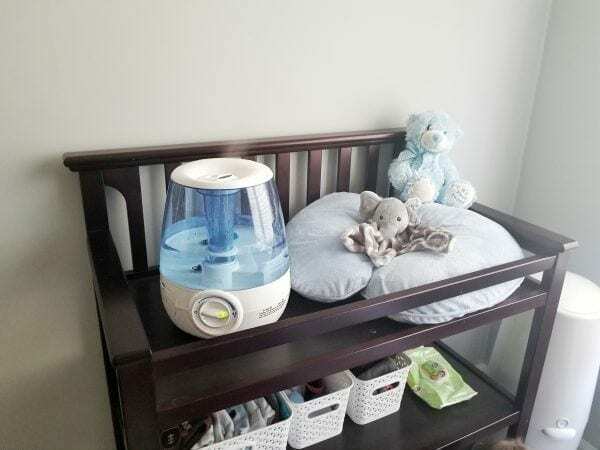 We use humidifiers in nearly all our bedrooms during the winter to keep everyone comfortable and using a humidifier even made my list for the top 15+ ways to avoid the cold and flu! Click here to read that post and learn my tricks! Winter Baby Tip #7: Vaccinations are key! I don’t mean to start a debate with this tip. I personally vaccinate my family. Since I believe they are necessary, I also insist that anyone touching my baby has their vaccines. Babies don’t yet have sufficient immunity, so it’s important that we don’t expose them to possible illnesses – especially ones that are severe. While this isn’t JUST a winter-baby issue, the FLU VACCINE is more of a winter-baby concern than say a fall-baby. So I caution you to please think carefully about vaccines and consider making sure that those near your baby have been adequately and recently vaccinated. “Adequately vaccinated” can be different for different regions, so I strongly suggest speaking it through with your OBGYN and then your pediatrician to make sure that you know which are important for your area. If you have people coming in from out of town, you may also want to check what’s prevalent in their area before they arrive to make sure they have received what they need and aren’t potentially exposing your child to something excessively harmful. Winter Baby Tip #8: Hands-off! Have you ever seen someone blow their nose, throw the tissue out, and then reach for a baby? I have and OMG noooooo….. So I have two rules around my kids and especially around them when they are babies! First – if you’re sick, sniffling, or feeling “off”, STAY AWAY. Most colds don’t show symptoms until you have already been contagious for a day or two which is why I include “feeling off” in my list. But also… if someone is just beginning or sniffling or “starting to feel better”, chances are they they will accidentally expose your baby to their cold in some way! Washing hands constantly is certainly helpful, but staying away if possible is even better! Second – I limit who can tough my baby’s face, hands and feet. This is to avoid getting any germs or diseases into the baby’s mouth! Why hands and feet? Well, babies put their hands and feet in their mouths all the time! I know this can be a tough rule to enforce – especially with family members – but it’s really important during the winter months to keep your baby safe! Winter Baby Tip #9: If you have older kids, shed their “school germs” right away! So there you have it!! These are my top tips for how to care for your winter baby! I hope you found these useful. Got others? Comment below and let me know what you thought about these or if you have any more to share!